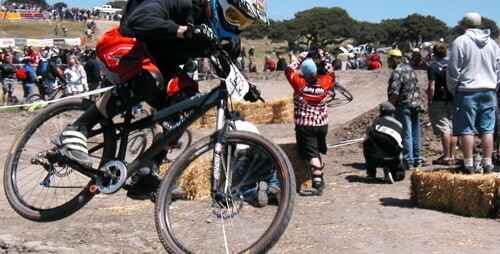 The Sea Otter Classic is the world’s premiere 4 day cycling festival and opens the season of cycling in North America. It was founded in 1991 by Cycle shop owners Frank Yohannan and Lou Rudolph and the first event attracted 150 competitors and 350 spectators, 13 years later it now attracts over 10,000 competitors and 65,000 fans. Amateurs and professionals alike, including national and world champions, join together and race side by side for this event and there are several different types of cycling catered for. In mountain biking you will find events for cross country, downhill, short track and more, road cyclists can take part in circuit racing and road racing and there are also a whole host of non-competitive events for children and families of all ages. In addition to the various different cycling events, there is also the world’s largest consumer bike exposition to look forward to with hundreds of different vendors offering you new products, free samples to try and great bargains to be had. Many of these stalls have come from outside of the US so you will be able to sample products from different parts of the world and you may find something to give you the competitive edge. There are food and drinks stalls situated around the event, and beer and wine are permitted but no other types of alcohol. It doesn't matter if you are a competitive cyclist, a casual bike rider or just someone who likes to watch the sport, the Sea Otter Classic is the best, not just in cycling, but in great, fun, family days out and will help to encourage your children in taking up the sport themselves which can be great for keeping them active and healthy. Don't delay, book your places to stay in Monterey and your tickets today to make sure you don't miss out on this fantastic four day event.